Duisburg, Cape Town 20 June 2018 – Imperial Logistics has opened another Supply Chain Lab (SCL) in Cape Town. The logistics service provider will support its clients in developing their own digital strategy at a co-working complex in the restored port district. The service provided at the new SCL ties in with the success of the first Supply Chain Lab, which Imperial Logistics had set up in Berlin 18 months ago. IT experts from Imperial Logistics working with logistics experts, IT specialists and IT students will develop structured solutions that are tailored to individual client requirements in the creative environment near the student and start-up scene. Lütjann continues, “We’ll continue in Cape Town what we started in Berlin – that is to say, pursuing flexible, open and innovative approaches. We have to break loose from traditional thought patterns. The SCL in Berlin,” the CIO says, “has opened the doors for new projects for the company. We have already worked with a number of international clients there.” The company’s own start-up known as “ShareHouse”, a web-based marketing portal for storage space, is also a fruit of the Berlin SCL. 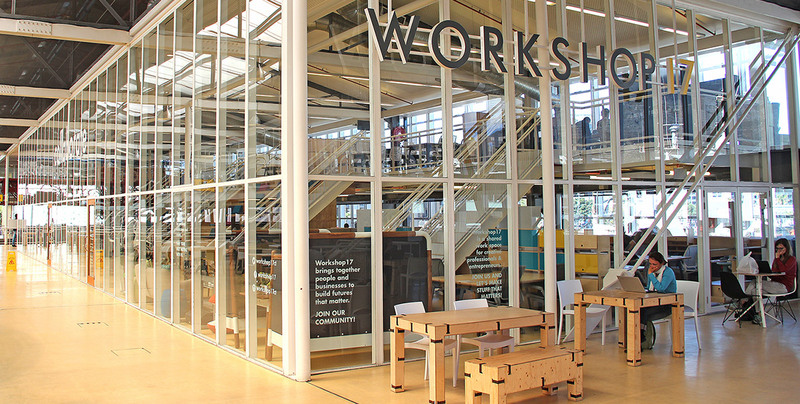 The services made available at the Supply Chain Labs in Berlin and Cape Town include digitalisation workshops and training courses for consolidating digital skills. Problems are identified, ideas for solutions are developed and initial visual prototypes are programmed in creathons, so-called design sprints, within five days.